Shoreham-Wading River Central School District’s Miller Avenue School’s new second-grade student council members have been hard at work developing positive initiatives throughout the school and helping families and organizations in the community. Along with advisers, school psychologist Mary Anne Benz and second-grade teacher Robert Korchma, their most recent undertaking included creating 122 dog toys. Involving families and friends, they also collected dozens of items including food, leashes, collars, paper towels and blankets for the Brookhaven Animal Shelter. 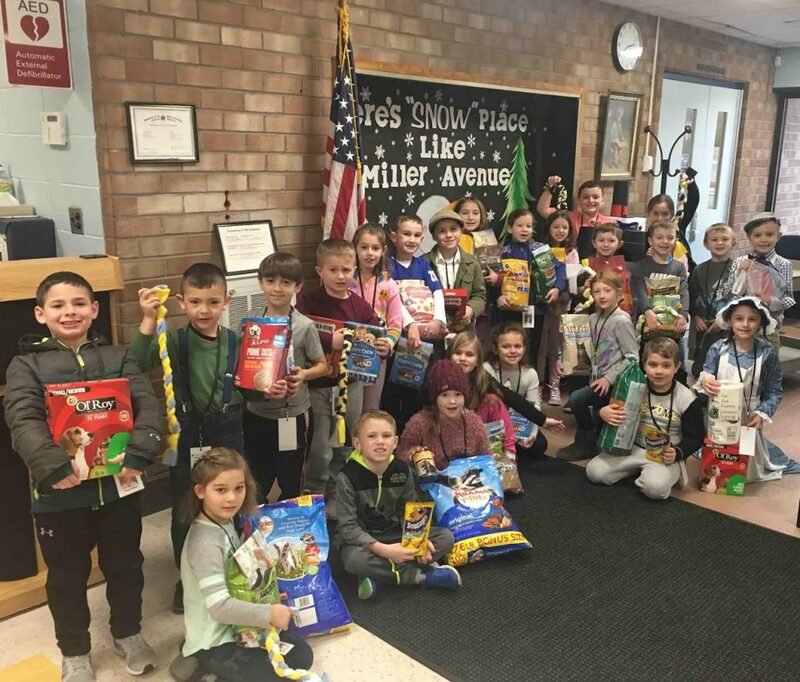 Photo caption: Miller Avenue School students displayed their collection of items to be donated to the Brookhaven Animal Shelter.